The Nevada State Athletic Commission has released the official salaries for all of the contestants that competed in last Saturday’s “Strikeforce: Rockhold vs. Jardine” event. 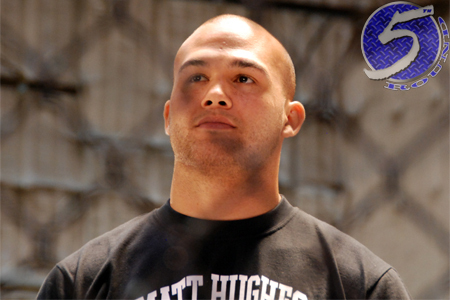 Despite performing in the night’s co-main event, middleweight Robbie Lawler (Pictured) pocketed the card’s largest purse. “Ruthless” scored a flat $150,000 paycheck for disposing of Adlan Amagov. Middleweight champion Luke Rockhold retained his crown against veteran Keith Jardine in the show’s featured attraction. Rockhold took home $90,000 for his 1stRound TKO victory, $25k of which came via win bonus. Jardine, on the other hand, made $30,000 for his efforts. Please keep in mind, the numbers that get reported to the athletic commissions are only of what’s required. These figures do not include deductions for items such as licenses and taxes. Additionally, they do not contain money paid to the fighters by sponsors.